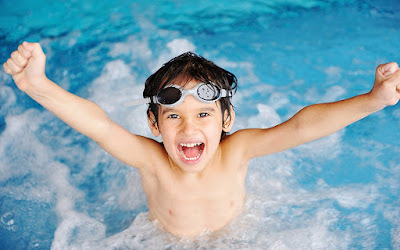 During terms 4-6 all pupils in Years 4, 5 and 6 will have swimming lessons at the Abbey Sports Centre, Berinsfield with a qualified swimming instructor. In Term 4, Year 4 will go swimming, in Term 5, Year 5 will go swimming and in Term 6, Year 6 will go swimming. Pupils will be collected at 10.30am and return to school at 12.45pm. 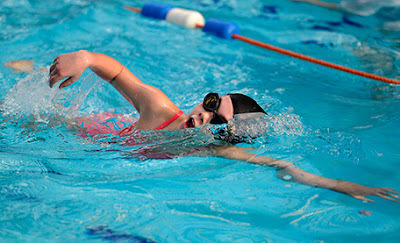 Swimming is an important part of the National Curriculum. During key stage 2, pupils should be taught knowledge, skills and understanding through different areas of physical activity, one of which is swimming activities and water safety. • use a range of recognised strokes and personal survival skills (for example, front crawl, back crawl, breaststroke, sculling, floating and surface diving). Garsington School will meet the costs of the instructor, but will need to request contributions from parents for the cost of transport @ £3.50 per session (£17.50 for 5 sessions). Please send any money to the school office in a clearly named envelope (cheques payable to "River Learning Trust -GSSP" please). What do children need on swimming days? As well as a swimsuit/trunks and a towel children will need to wear a swimming hat. These can be purchased from the school office for £1. If children wish to wear goggles we will need explicit permission (see parentmail). On swimming days your child will also need a packed lunch.